Get the one-page printable schedule to help guide you to all the events! Different performances and special events every month! Stroll around historic downtown Leesburg on the First Friday of each month (except January), to enjoy numerous live music performances throughout the town, art exhibits, wine tastings, lectures, signings, and so much more! many offering free refreshments and/or special sales. 6:00-9:00 Anniversary Party. Photoworks, which opened in 1979, is celebrating 40 years in business with an Anniversary Party featuring classic photographs on display by KD Kidder and Neil Steinberg, along with live music by Fast Eddie and Hippieman Dave, playing some fabulous blues tunes. Fabbioli’s award winning wines will also be available. 7:00-10:00 Country Rock! 14 Loudoun is featuring Nashville recording artist, Jill Fulton, whose fiery vocals will blow you away! Get ready for some powerhouse originals and the country, blues, Motown & rock covers that you love. 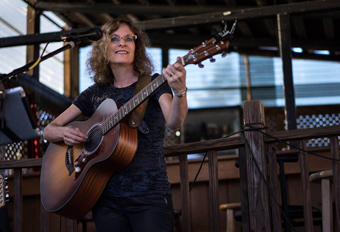 She is a soulful singer/songwriter and a member of the Nashville Songwriters Association International. 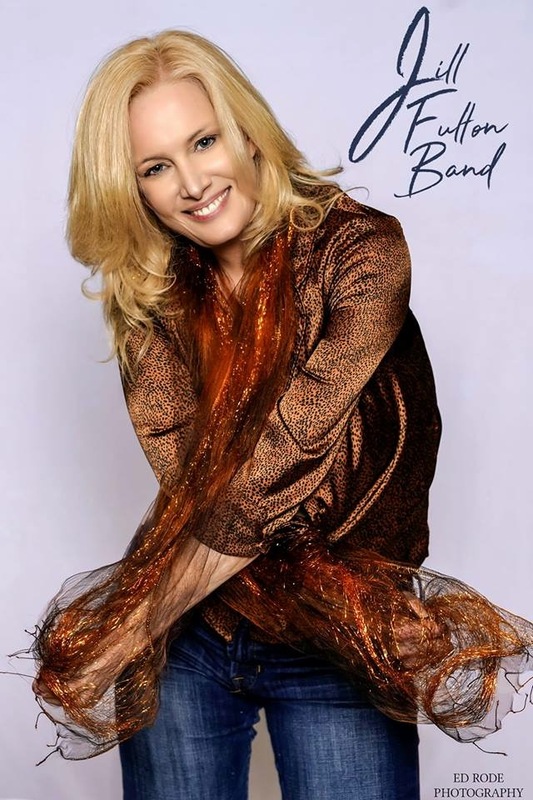 Don’t miss Jill and her band all the way from Hagerstown Maryland. 6:00-8:00 Doo-Wop Music. The Leesburg Diner is hosting live music with Jack Squared, a dynamic duo made up of two Jacks who love doo-wop. 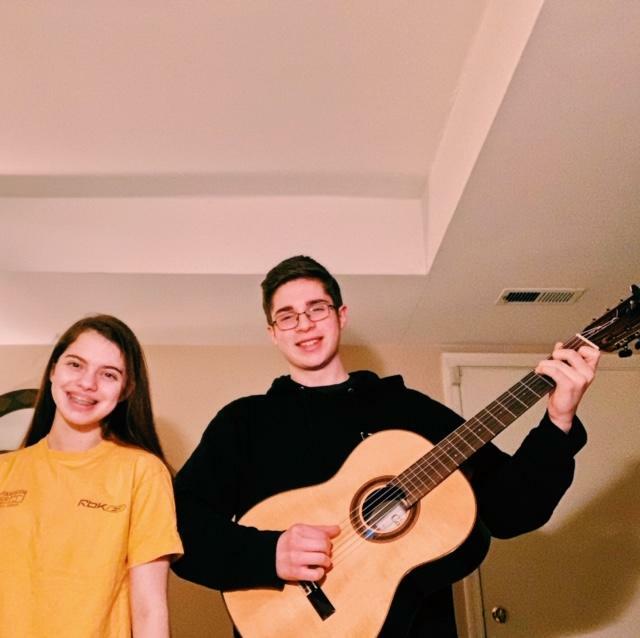 The Jacks are talented 20 year old musicians with a penchant for oldies, Jack Wood on keyboard and Jack Price on vocals. Location: 9 S. King St.
6:00-9:00 New Boutique. Misguided Angles is pleased to announce the opening of their new location in historic Leesburg, offering “affordable elegance” in women’s fashion, from apparel to shoes to handbags and accessories. Stop by to check out this fabulous new boutique and welcome Kim to historic downtown. Location: 14 S. King St.
6:00-9:00 Chocolate Tasting. Very Virginia Shop is hosting delicious chocolate tasting event with local chocolatier, Larry and his YummyWorks company. Stop by and try some of his amazing chocolates, made right here in Leesburg! Plus live music by harpist, Ellen James, playing some lovely Irish tunes on her Celtic Harp. You can also taste free samples of over 20 different flavors of Virginia peanuts and other locally made gourmet foods. Location: 16 S King St.
6:30-8:30 Mamma Mia! 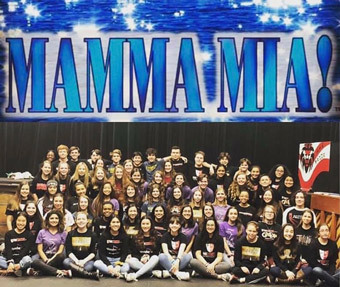 Sona Bank is hosting the Heritage High School Drama Students, performing songs and skits from their upcoming performance of the musical, Mamma Mia. Location: 1 E. Market St.
6:30-8:30 Sax Man. On the corner at Stockman Title will be saxophonist, Manuel Estrada, performing a wide array of jazz, pop and rock tunes from yesterday and today. He has been playing the sax for over four years and is currently a student at Tuscarora High School. Location: 1 S. King St.
6:00-9:00 Rock Duo. 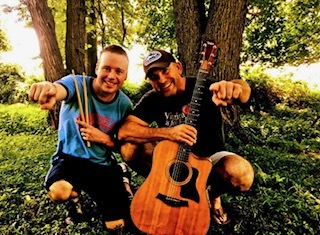 SideBar is featuring Skins and Strings, a rock duo featuring guitarist, Eric Campbell and drummer, Joey Reed, playing a variety of classic and modern rock songs. Location: 24 S. King St.
7:00-10:00 Rock Tunes. Delirium Café is hosting acoustic rock guitarists, Laurie Blue and Bill Rose, playing a variety of rock from the 60s through today that you can sing along with. Location: 101 S. King St.
6:30-9:30 Jazz Trio. 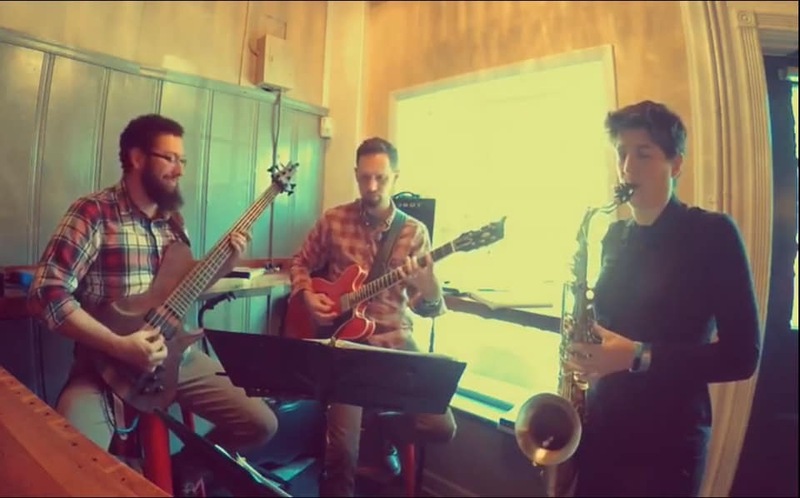 Trungo’s is hosting a night of jazz music with the Lisa Fiorilli Trio playing raspy smooth covers of pop, rock, and jazz tunes. For those of you who think raspy smooth sounds like an implausible oxymoron, come hear how they pull it off with Lisa Fiorilli on saxophone, Patrick Fritz on guitar and Fernando Bolanos on bass. Location: 2 W. Loudoun St.
6:30-9:30 Live Music. Bike TrAle Brewery is featuring live music with acoustic guitarist, Dave Goodrum playing some great classic rock tunes. 6:30-8:30 Ukulele Tunes. 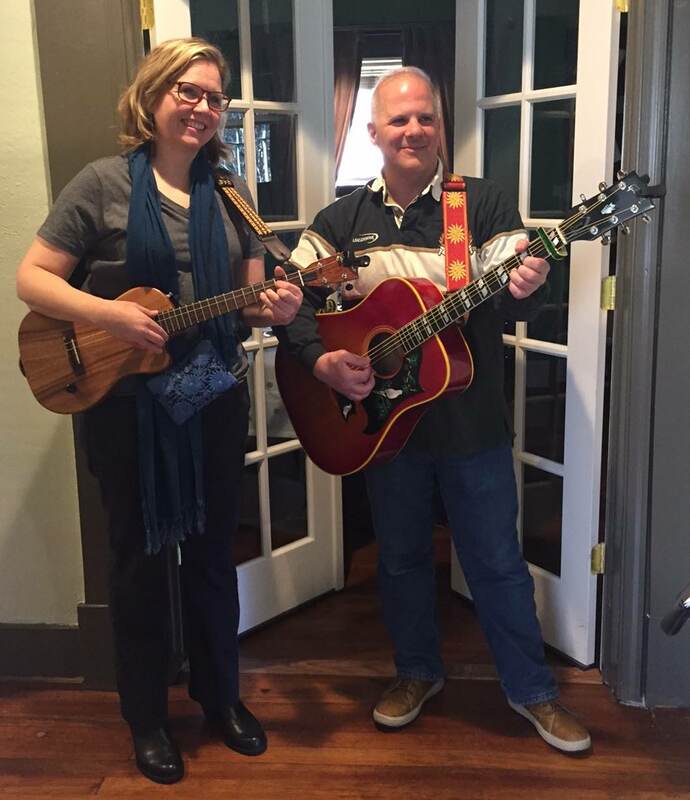 Coldwell Banker is hosting Crossing Elden, an acoustic duo from Herndon with Mike Betti on guitar and Lisa Olsen on baritone ukulele, playing stripped down rock and folk songs from the 60s through today. Location: 25 S. King St.
6:00-9:00 BBQ Fundraiser. Be Beauty is hosting a table for St. Gabriel's Episcopal Church to help promote their upcoming BBQ event, which will help raise funds to build their new church on land donated to them on Fort Evans Road in Leesburg. Stop by to learn more about their big BBQ event and about their vision for the future of their all-inclusive community church. Location: 13 S. King St.
7:00-9:00 Frank, the Crooner. Georgetown Café is hosting Frank Lombardi, of Crooners Entertainment. Frank, “The Crooner” performs in the stylings of Sinatra, Martin, Bennett, Como and many other Crooners as he is dedicated to preserving the music of the great American Standards Songbook! 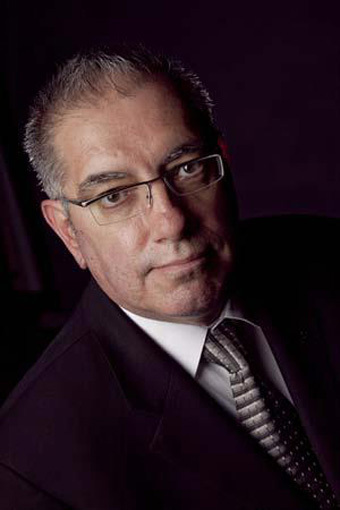 Frank is available to perform at corporate and charitable events, as well as weddings throughout the area. Location: 19 S. King St.
7:00-10:00 Live Music. The King’s Tavern is hosting an outdoor concert on their back patio, featuring Frayed Knots, a five piece band, playing a wide range of awesome tunes from rock and folk to bluegrass and blues. 6:00-9:00 Free Chair Massages. The Leesburg Spa, a brand new massage salon right in the heart of downtown, is hosting an open house event with free chair massages. Location: 10 S. King St. Upper Level. 6:00-7:00 Free Yoga Lesson. Flow Yoga is offering a FREE fun-filled yoga practice, which is open to all experience levels. Location: Market Station - 3rd floor. 6:30-8:30 Live Music. 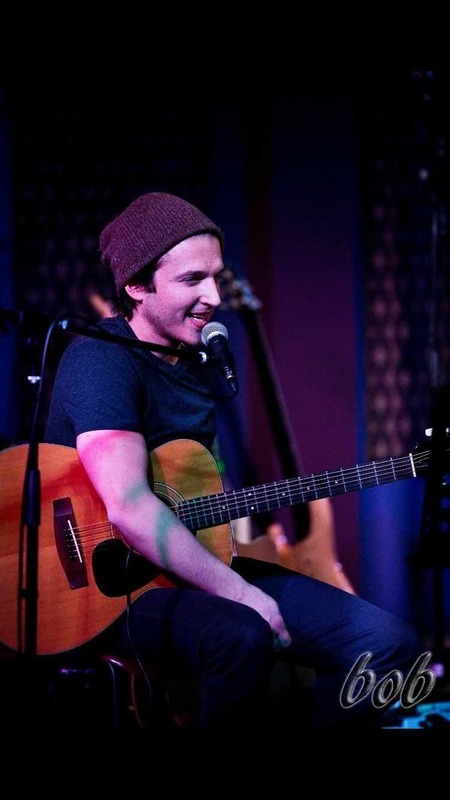 Shoes Cup and Cork is featuring guitarist, Alex Kerns, playing an array of music. 6:30-8:30 Acoustic Tunes. 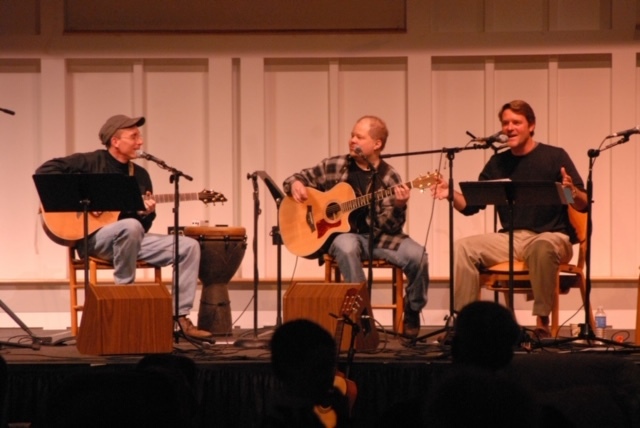 Trinity House Café is hosting the Acoustic Autumn Trio, who play classic rock songs in a way that allows people to hear a song in a new and fresh way, and to connect with it again. 6:00-8:00 Demonstrations. The Loudoun Museum is featuring Karen Helble of the Waterford Craft School as she demonstrates different handwriting styles and discusses the history of behind them. Learn about this traditional skill and how the Waterford Craft School preserves this and other pastimes. 6:00-9:00 New Shop. The District Hemp Boutique is hosting an open house to showcase their new location in downtown Leesburg. They are the first hemp-based CBD store in the area and have a wide array of hemp products with naturally occurring cannabinoids, ranging from oils to hemp-infused dog treat. Stop by to check out Leesburg’s new shop and enjoy some light refreshments. 7:00-11:00 Hit Music. MacDowell Brew Kitchen is hosting a talented group of local student musicians. 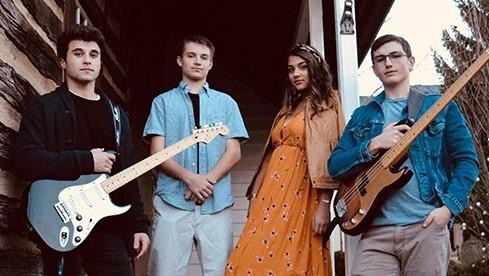 The King Street Band has been steadily crafting their style, as alternative rock blend, infused with blues and pop sounds. 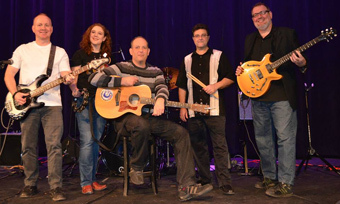 King St. plays a repertoire of cover music, ranging from 70’s classic rock through the contemporary hits of today. 7:00-10:00 Jazz Piano. 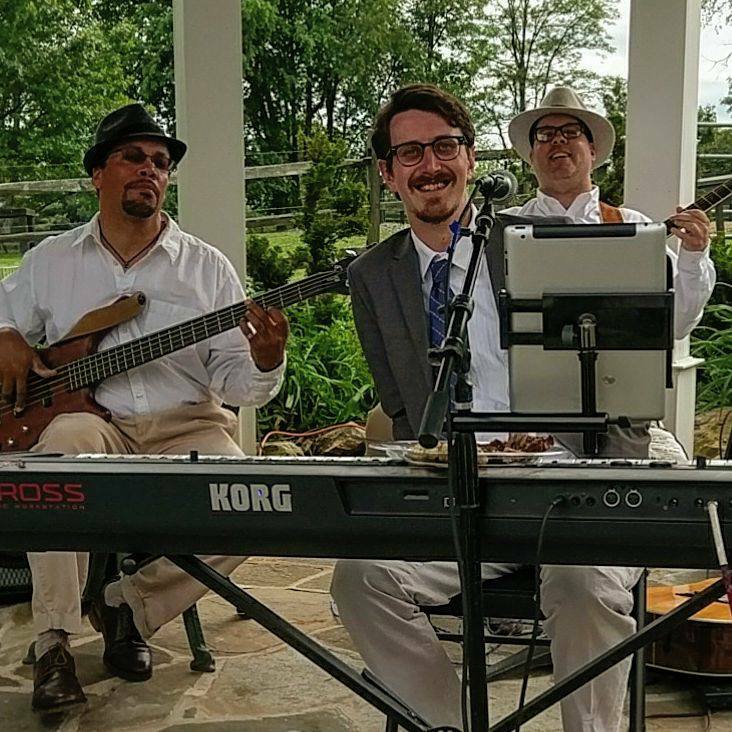 Casa Nostra, downtown newest Italian restaurant, is hosting live music by the City Limits Jazz Trio, featuring locally acclaimed Andrew Hart, as the piano man. Location: 2 W. Market St.
6:30-8:30 Soft Rock. Lou Lou Boutique is hosting singer Kaylynn Breland along with Aidan Preshong on acoustic guitarist, playing some nice soft rock songs. Plus you can check out their array of spring fashions and awesome jewelry to make you dazzle. Location: 9 W. Loudoun St.
6:00-9:00 Art and Wine. Art Sweet Art is hosting an art show with the Loudoun Sketch Club, which is part of their 75th anniversary as they are the oldest art organization in Loudoun County. 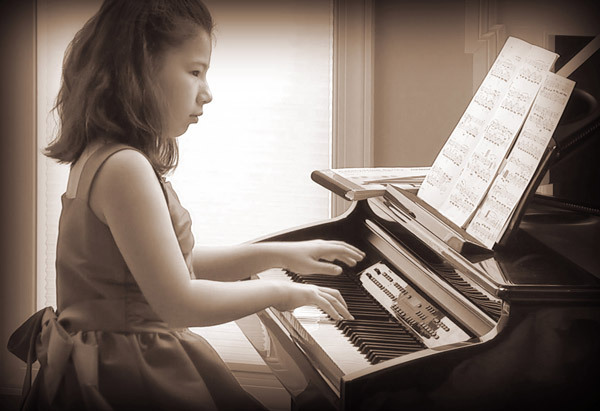 There will also be wine tasting with the October One Vineyard and live music with the amazing young pianist, Mayleen Hyett, along with Belgian Chocolates. 6:00-9:00 Music and Art. 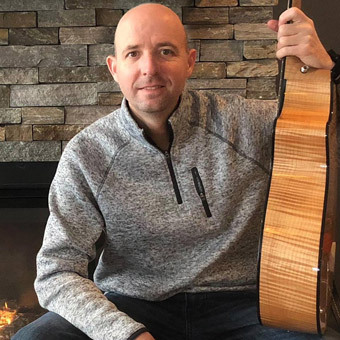 King Street Coffee is featuring live music by Gary Rudinsky, along with many talented students from the music department of Loudoun County High School. Plus, paintings will be on display by their Artist of the Month, Nina Harrast. Location: 110 S. King St.
6:00-1:00 Live Music. King's Tavern and Wine Bar is hosting locally acclaimed Andy Hawk and his Train Wreck Endings band from 6-8:30, consisting of several local music legends. 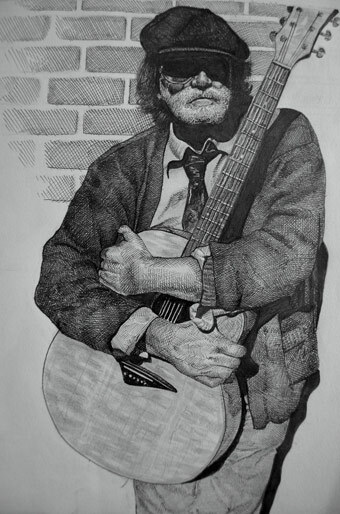 Afterward, from 9-1am, it's open mike night featuring a wide array of musicians. 6:00-9:00 The JFK Show. The Tryst Gallery is hosting an Premier Reception of our JFK Exhibition, featuring Stephanie Hansen of Planet Dwell Studio. Stephanie's Pop Culture Exhibition features her incredible layered acrylic and resin pieces. Stop by for another fun First Friday opening where you will meet Stephanie and more than 40 other DMV area artists! Light refreshments offered. Location: 312 E. Market St.
6:00-9:00 Art and Wine. The Fine Gallery is hosting an open house with wine tasting and a new art exhibit. This gallery is equal parts contemporary art gallery and educational art provider, focusing on an immersive art learning experience. 6:30-8:30 Artist Reception. 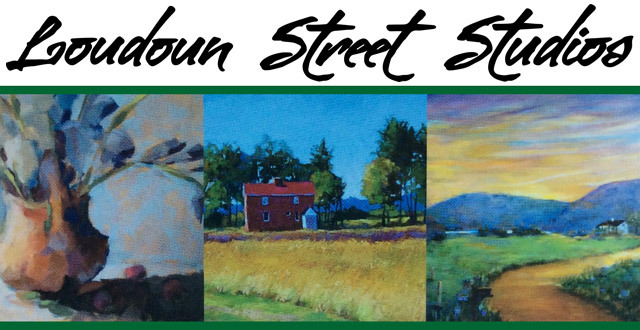 Loudoun Street Studios welcomes new resident artists, Carol Buswell and Dominique Ann as they join Libby Stevens, a locally acclaimed artist. Stop by to check out new work by these three talented artists and learn about upcoming classes and workshops. Light refreshments served. Location: 2A Loudoun St. #217 (upper level). 6:00-9:00 David Davol. 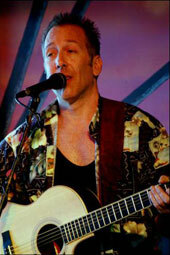 Doener Bistro is hosting acoustic guitarist/singer, David Davol, highlighting the Folk-Rock style of the 60's and 70's. He also performs selections of modern country music, as well as classic rock and alternative tunes. Pick your favorite hits from his 400 song request list. 6:00-9:00 Book Signing. Books and Other Found Things host monthly "meet the author" events with local authors available to discuss and sign copies of their books. This month’s author is to be announced. 6:00-9:00 Wine and Music. The Leesburg Vintner is hosting monthly wine specials with wine by the glass. 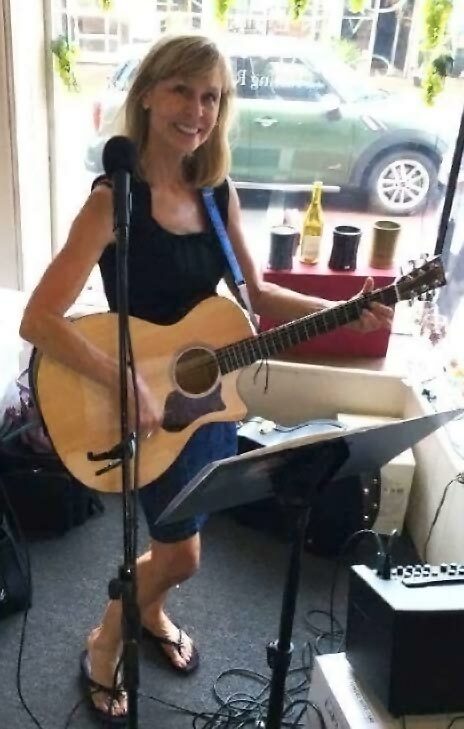 Also from 7-9pm, live music with vocalist, Cindy McConnell, performing acoustic guitar folk/rock covers. Location: 27 S. King St.
6:00-9:00 Art Open House. Medlin Art Gallery is hosting an Art Open House, showcasing a large selection of antique prints, maps and original artwork from such nationally-known artists as Mort Kunstler, Mary Hope Worley, Paul Landry, John Paul Strain and P. Buckley Moss. Light refreshments served. Location: 2 E. Loudoun St.
6:00-9:00 Wine Tasting. 27 South Interiors is hosting wine tasting with Stone Tower Winery. Stop by their lovely home décor boutique, which features high quality home furnishings and accessories, made all around the world. 6:00-8:30 Vintage Music. Dig! Records & Vintage is hosting an open house featuring his used LP's, 45's, vintage clothing and a selection of turntables, receivers and audio gear. They specialize in PUNK, 60's Garage, Psych, Soul/funk, Jazz, Alternative, Hip-Hop and of course, Rock-n-Roll. Get on down to this awesome shop to check out the tons of 45's from the 50's, 60's, and 70's, as they buy, sell and trade 7-inch, 10-inch, 12-inch, and Cassette Tapes. 6:00-9:00 Chicago Style. Windy City Red Hots is celebrating a "Chicago Happy Hour," in downtown Leesburg with cold beers and showcasing their authentic Chicago style foods. Stop by to get a quick bite of Chicago, without traveling half way across the country. Location: 28 S. King St.
6:00-8:00 Jewelry Show. Madisonbelle is hosting a jewelry trunk show with TAT2 Designs, plus a $100 giveaway with $200 purchase. Free 30 minute styling consults, by appointment as well! Define your style and express yourself authentically. Location: 5 E. Loudoun St.
6:00-9:00 Expo. Makersmiths is hosting an open house to showcase the wide array of things you can make at this local makerspace. You can take a tour and get involved with one of their interactive demonstrations. Check out their woodshop, metal shop, 3D printing, CAD, CNC, crafts, and ceramics studio. Makersmith is building a community of Makers by providing a facility with tools, training and other enabling resources. 6:00-9:00 Yum! Gruto’s Ice Cream Shop is featuring their yummy soft serve ice cream, which they make locally with love. Stop by to see how this little parlor is all about having a good time while enjoying delicious and affordable ice cream! Location: 107 S, King St.
6:00-9:00 DJ ZBreezy. 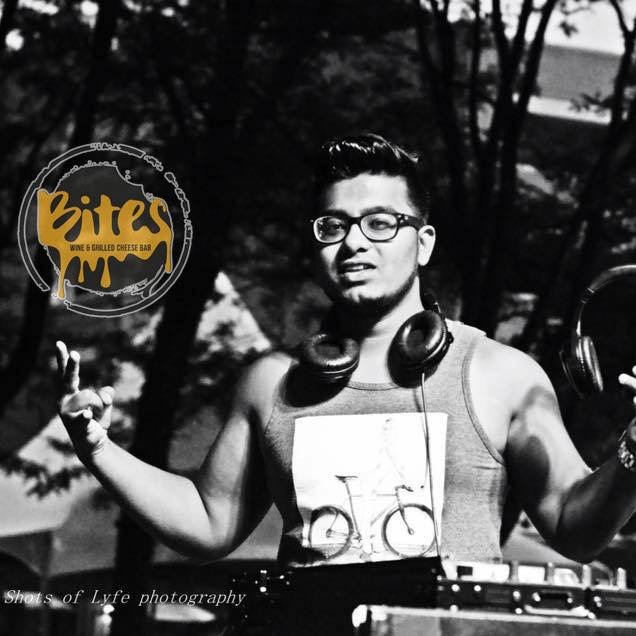 Bites Wine and Grilled Cheese Bar is hosting music from DJ ZBreezy, on their front porch with an extended happy hour! Location: 105 S. King St.
9:00-Midnight. Soul Music. 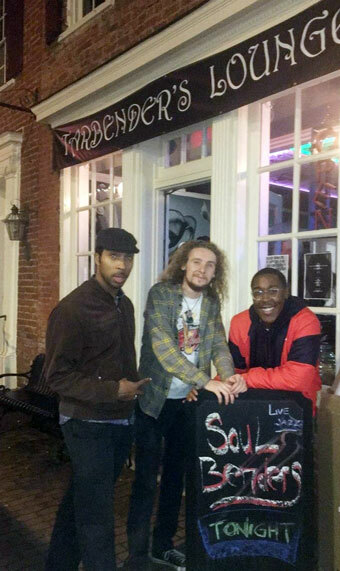 The Tarbenders Lounge is hosting their house band, The Soul Benders Jazz Trio, playing an array of jams from Blues, Funk and of course, Jazz. Stop by so you can dance the night away. Location: 10 S. King St.
5:00-9:00 Consent Carnival. LAWS is hosting a free Consent Carnival with a Hershey Kiss kissing booth, kid friendly games, temporary tattoo along with candy and popcorn. Location: 105 E. Market St.
6:00-9:00 Open House. Oilssentials is hosting an open house so you can learn about all-natural solutions for several healthcare needs and basic information on essential oils. They will offer complimentary ITOVI Hand Scans and also be doing Make & Take Roller Bottles. Snacks and raffles too!